I have already written about the brochure shown above on my Dambusters blog. However, I thought I would draw attention to it again here, and also write something more about the design and typography. 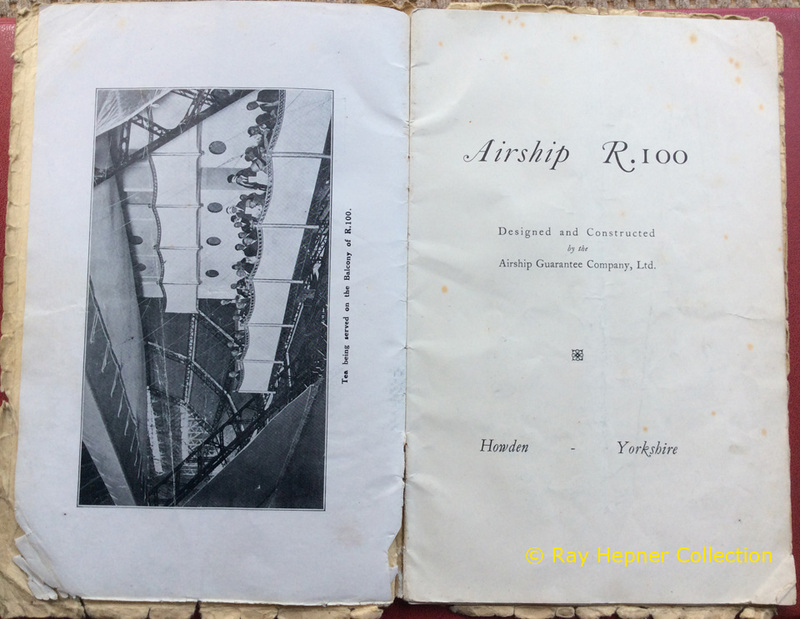 The brochure (from the Ray Hepner collection) was produced to promote the R100 airship, one of the earlier projects with which the engineer Barnes Wallis was associated. His name of course well known as the person who designed the so-called bouncing bomb during the Second World War, but he had a long career both before and after this period. Back in the 1920s, Wallis headed the design team which built the R100 airship. This was a privately designed and built rigid British airship made as part of the Imperial Airship Scheme, a competition to develop a commercial airship service for use on in the British Empire. 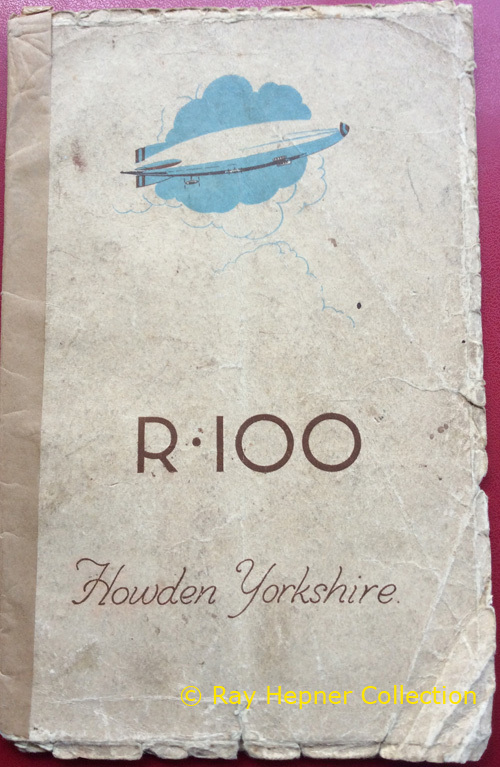 The brochure would seem to have been designed about the time of R100’s first flight. The title page has an interesting design, which involved some hand mortising of metal type. The title itself is set in a large size of Garamond Italic and Roman, with the full point hand cut so that it fits exactly above the tail of the curve of the swash capital R. The rest is set in smaller sizes of Garamond. The upper and lower case in the “Designed and constructed” line was obviously letterspaced in order to drive it out to the same width as the line below. I’m not sure the purists would approve of that. The cover is completely different: a peculiar sans serif with a short tailed R for the title, and an even odder script for the “Howden Yorkshire” line appear below a rather nice illustration of the airship. R100 first flew in December 1929. It made a series of trial flights and a successful return crossing of the Atlantic in July–August 1930, but following the crash of its rival, R101, in October 1930 the Imperial Airship Scheme was terminated and it was broken up for scrap. R100, which it could be argued had the more innovative design, was thus terminated even though it had a more successful life.